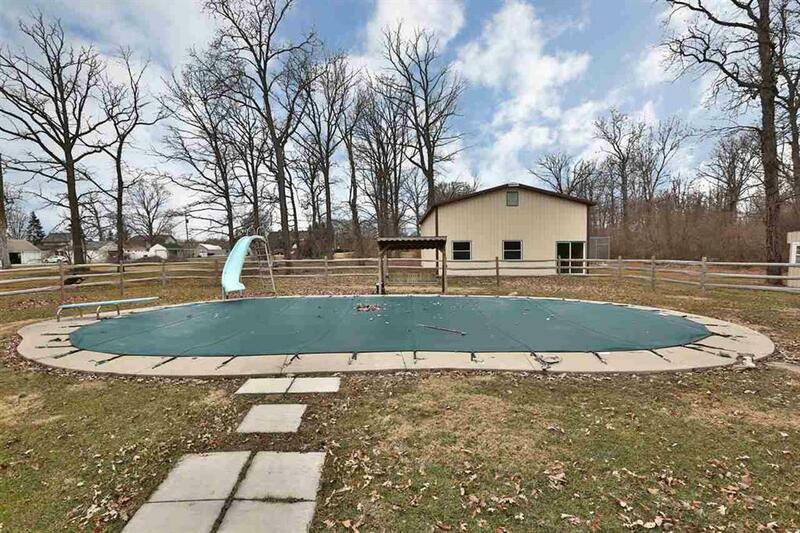 Park-like setting perfect for the entire family! 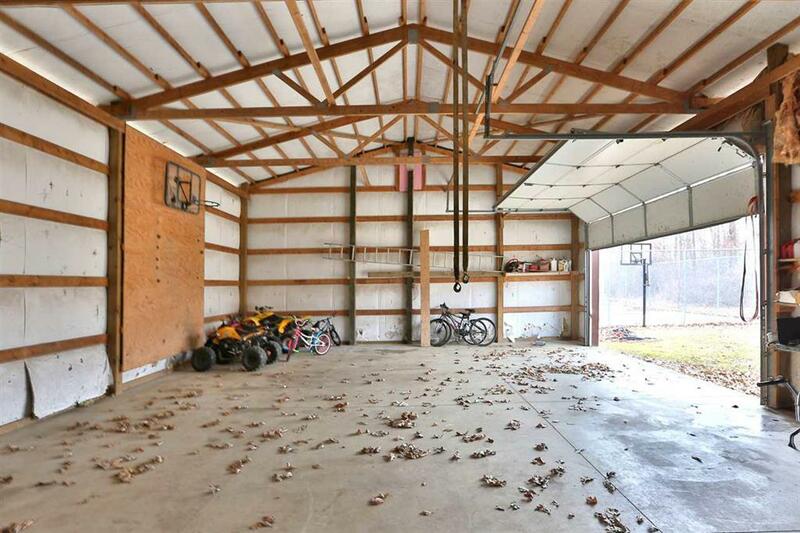 Hours of fun can be had on the over 3 acres of land that includes a basketball court that can be converted to a hockey rink in the winter months, the 20X40 in-ground pool, over 1200 sq feet of decking, or in the lake right across the street. In the last 2 years, the roof, AC, furnace and windows have all been replaced. 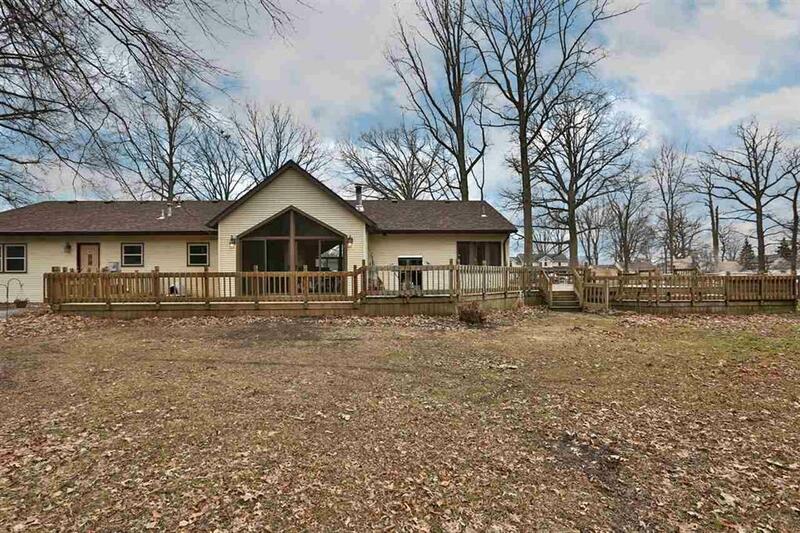 Ranch home with four bedrooms and an open concept. 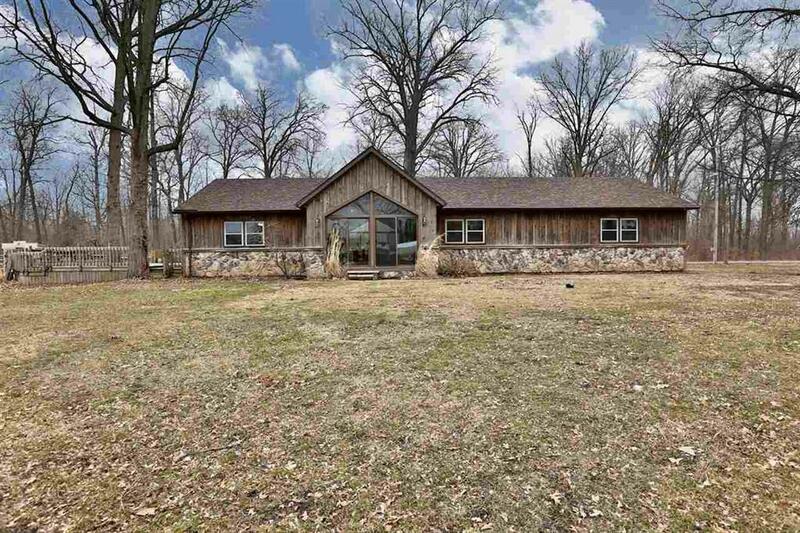 Economically friendly home with features such as forced air furnace with an optional wood burner to save on costs in the winter months and city water with well access to save on outdoor watering in the summer months. Limitless potential!